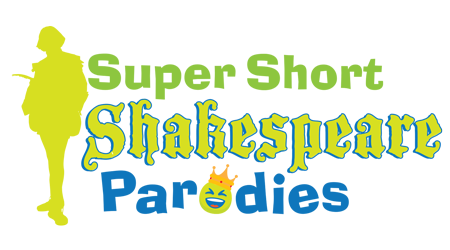 What a fun way to introduce Shakespeare’s most famous plays! These extreme, 4-minute abridgements cut right to the chase by getting through the story and events of each play quickly and concisely. Elizabethan English is used only occasionally for comic effect, so that the humorous modern dialogue is easily understood. The rapid-fire stage action and quick entrances and exits make these plays fun to perform and even funnier for the audience. Plays include Romeo and Juliet, Hamlet, Macbeth, Othello, The Merchant of Venice, The Tempest, Julius Caesar, King Lear, Henry V and Richard III. Even Shakespeare would laugh at these clever parodies, which are also ideal for performance exams!